When it comes to cleaning in the home, carpets can be the most difficult thing of all to clean. Although stoves and ovens will put up a decent fight, it is carpets where most people will struggle. 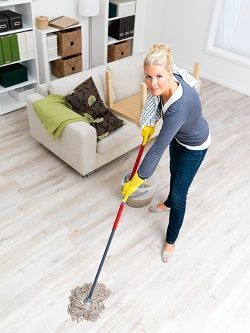 If you aren’t armed with the appropriate knowledge, tools and cleaning products, you can be scrubbing the carpeted floors of your for hours to no avail. Because most people with carpets will have the majority of their floors carpeted, cleaning every square inch of your carpet can not only be difficult, but also time consuming and physically exhausting. With all this considered, carpet cleaning is a chore best left to the professionals. Here at Colliers Wood Cleaners, we offer a comprehensive and professional Colliers Wood carpet cleaning service. For the price you pay, our trained carpet cleaning Colliers Wood professionals will come into your home at a time and date suitable for you and leave your carpets looking as good as new. To see whether or not our service is suitable for you, call us on 020 3743 8273 – our dedicated carpet cleaning agents Colliers Wood are waiting by the phones ready to give you a free quote. There’s No Better Carpet Cleaning Company in Colliers Wood than Us! The main benefit of using our carpet cleaning service SW17 is that it means you don’t have to do it yourself. If you are ill-informed and not armed with best tools and products, you could be scrubbing your floor for hours with no real difference made. Of course if you are just scrubbing a stain out of your floor, this will not take as long. But still; if you do not have the correct tools and cleaning products you can find it impossible to get the stain out. With all of this considered, it is probably best to leave the job to our Colliers Wood carpet cleaning professionals. Call our SW19 carpet cleaners now on 020 3743 8273. If you do chose to hire out our Colliers Wood carpet cleaning service, you will have peace of mind knowing you are buying the best service money can buy. Our professional carpet cleaners pride themselves on providing the best possible customer service. Our trained professionals do this is a job day-in, day-out. As such they have built up years of expertise and knowledge regarding carpet cleaning. What may take you days of scrubbing could just take them hours. They will come armed with the best tools and products and will clean your carpets professionally and efficiently. To see whether our Colliers Wood cleaning service is right for you, call us on 020 3743 8273 – our dedicated SW17 carpet cleaning agents are more than happy to answer any questions you may have. If you have rented your property and soon plan to move out, you will need to be sure to leave your residence in as good as condition as it was when you first originally moved in. If you fail to do so, you will risk losing some of your security deposit. Cleaning everything else in your house could be done yourself, but when it comes to making your carpets pristine, you really only have on option: to hire out the professionals. Our trained Colliers Wood carpet cleaning professionals will leave your carpets looking as good as new, meaning you will get all your money back from your security deposit. To save yourself money in the long run, book your carpet cleaning SW19 service right away. Above are just a few reasons why you might require our SW19 carpet cleaning service. To see whether our service is right for you, call us here at Colliers Wood Cleaners on 020 3743 8273.